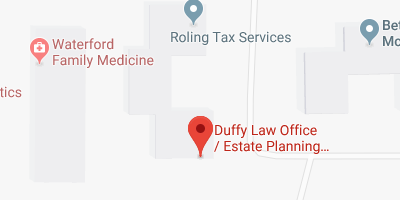 If you would like to obtain detailed information about estate planning services in Davenport Iowa, we can be of assistance. Our firm has compiled a rather extensive library of free special reports that cover numerous different estate planning topics. These reports are delivered electronically, and there is no limit to the number of reports that you can download. To gain access to this research library, click this link: Estate Planning Special Reports. We offer a steady stream of Seminars throughout the year. Our attorneys get out into the community bringing estate planning information to you. To look at our schedule and register for the Seminar that interests you, visit this page: Davenport Iowa Estate Planning Seminars. Statistics show that most American adults have not executed all of the necessary estate planning documents. In many instances, people procrastinate because they don’t know where to begin. The logical first step would be to discuss everything in detail with a licensed estate planning attorney. Your lawyer will answer all of your questions, gain an understanding of your objectives, and make the appropriate recommendations. You can ultimately go forward with a custom-crafted estate plan that has been specifically designed for you and you alone. If you live in the greater Davenport area, we invite you to contact our firm to set up a free consultation. You can request an appointment through the contact page on this website or give us a call at (563) 445-7400.